Keeping the kids busy during a holiday meal can be difficult! 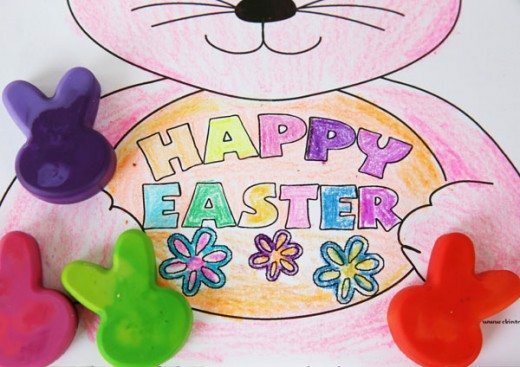 These bunny shaped crayons will make sure the kids are entertained and having fun during Easter lunch, brunch or dinner! They also make a festive addition to your table. All you need for this project is a heat-safe silicone mold and some crayons. This is a chance to use up those broken crayons! Wilton has the perfect bunny-shaped mold. Find this at any craft store. Unwrap crayons and break them into pieces that fit into the mold. 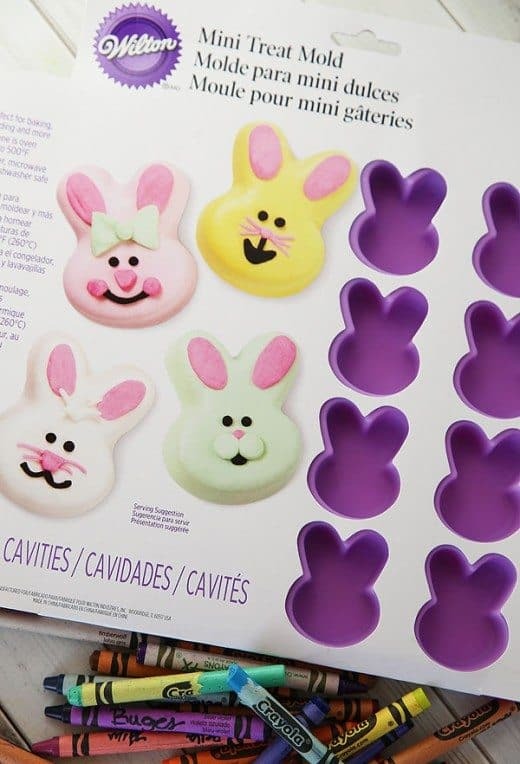 Be generous and slightly overfill the molds. Place mold on a cookie sheet and bake at 300 degrees for about 10- 15 mins. Check every 5 mins. 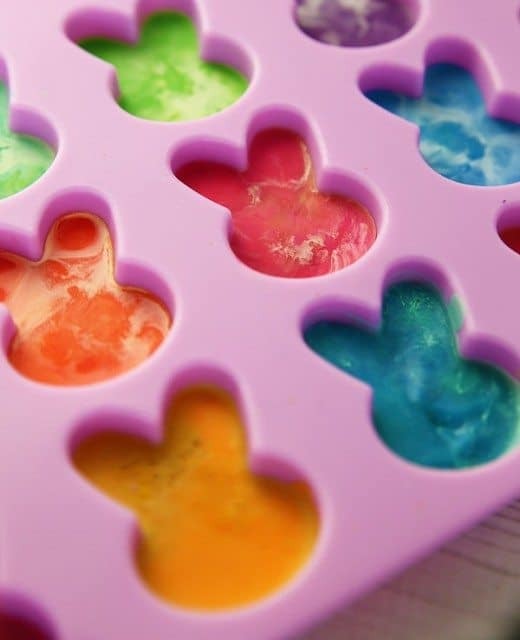 Once crayons are melted, remove from oven and let cool. I let them cool 10 minutes and then placed the mold in the refrigerator to cool for another 10 minutes. 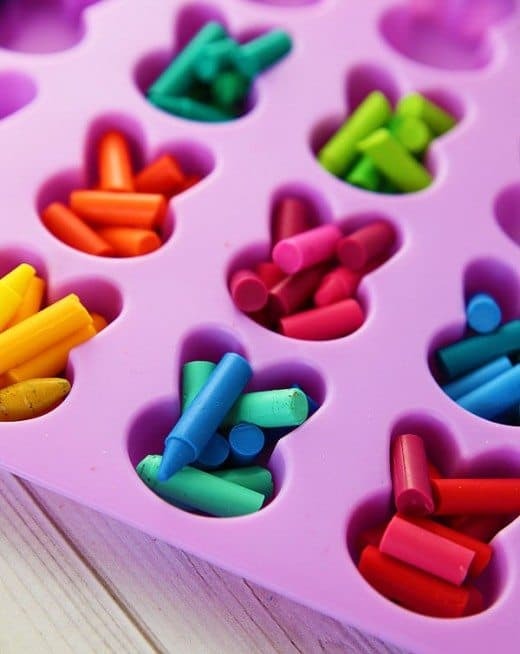 Once crayons are completely cool they will pop right out of the mold. 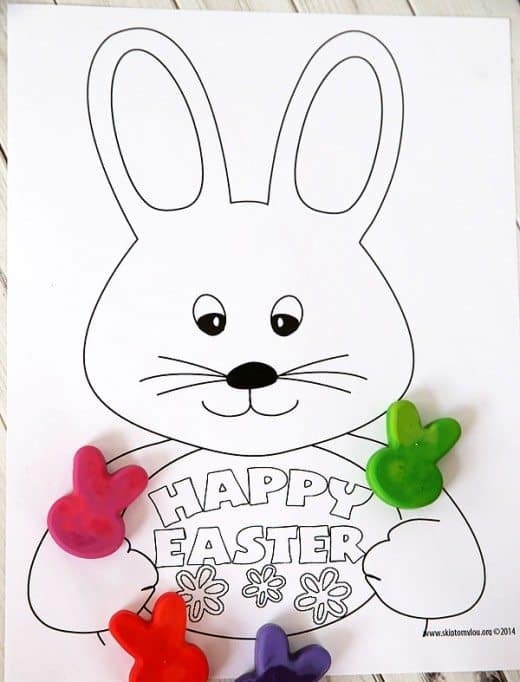 Print off my Easter Coloring Sheet and you are ready to celebrate. 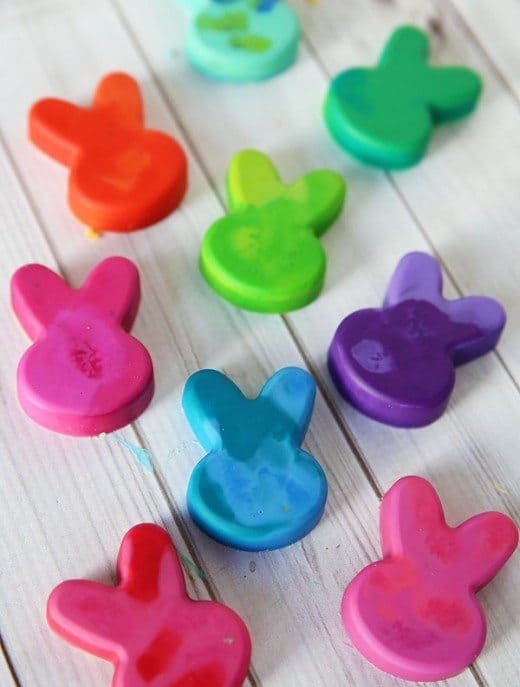 You can even wrap up a few bunny crayons with a tag that says,”You’re some ‘bunny’ special” for a cute favor.